In the first two parts of our blog series, A John Deere Closer Look, we covered everything there is to know about Families 1-4 of John Deere’s line of incredible sub-compact and compact utility tractors. 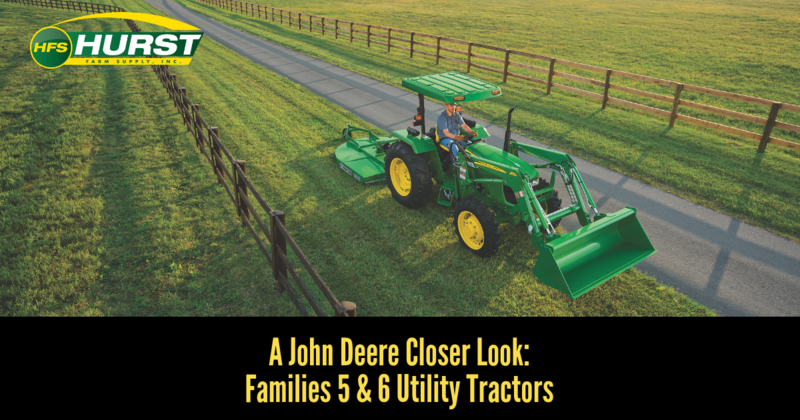 Now, in the third and final installment, we’re putting the spotlight on the most powerful of these machines: John Deere’s Families 5 & 6 Utility Tractors. If the chores ahead of you require a little more horsepower than what Families 1, 2, 3, or even 4 could offer, look no further than the hardest working utility tractors in their class.